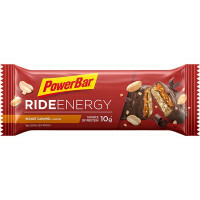 A tasty snack to keep you going! 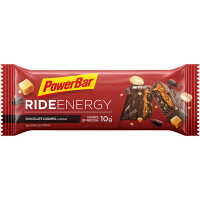 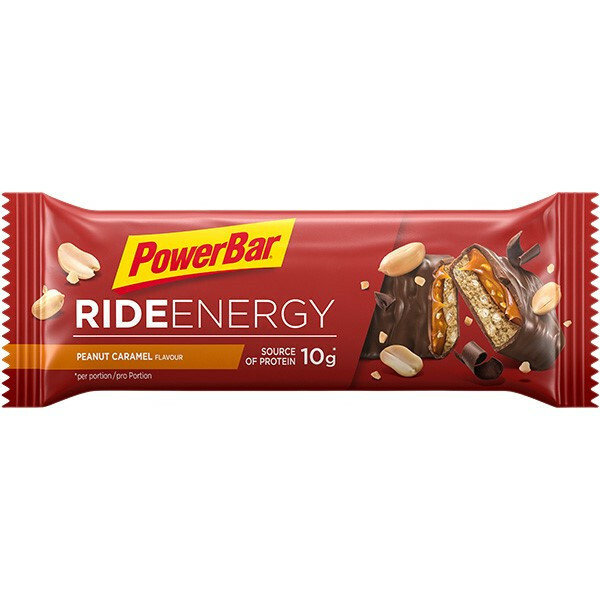 Whether it's for everyday life or sport, the Ride Energy Bar offers you an all in one snack that can support you through your daily activities. 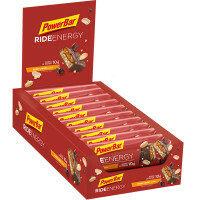 Containing carbohydrates, high-quality protein for your muscles and magnesium, it is the ideal companion for any active lifestyle. 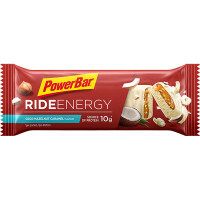 Chocolate flavoured coating (20%) [sugar, palm and shea fat, fat-reduced cocoa powder, skimmed milk powder, protein enriched whey powder (milk), emulsifiers (soy lecithin, polyglycerol polyricinoleate)], caramel filling (15%) [glucose syrup, palm fat, sugar, sweetened skimmed condensed milk, dextrose, emulsifier (soy lecithin), rapeseed oil (fully hydrogenated), salt, natural flavouring], humectants (maltitols, glycerol), glucose syrup, soy crisps (soy protein, starch, salt), invert sugar syrup, oat fibre, peanut pulp (3,7%), whey protein (milk), milk protein, soy protein, peanuts (3,6%), peanut flour (3,5%), inulin, maltodextrin, magnesium carbonate, salt, emulsifier (soy lecithin).